A Baby level Digimon hatches from a Digi-Egg. They have no powers, and seem incapable of speech, beyond their own name. The majority of the Babies are kept and cared for in Primary Village by Elecmon. 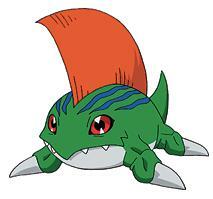 Baby Digimon are more commonly known in the fandom as "Fresh" Digimon. Fresh is the term used in the Digimon World video games, and because that level of Digimon is utilised much more often in the games than in the series, the term is more familiar to many fans. However, Baby is the canonical term for the series. Bakemon are flying ghost Digimon who are ruled over by Lord Bakemon, who is essentially just a bigger version of a regular Bakemon. Bakemon can disguise themselves as humans, and make eating other living beings a hobby. Their mantra is: "We're scary ghosts, we like to boo, now it's time to chew on you!" Sora and Joe were the first to encounter Bakemon, having been separated from the other kids by Devimon. Initially, the Bakemon were in their human disguises, and the kids hadn't been in DigiWorld long enough to doubt the prospect of other people being there, so they walked right into the middle of their ceremony, which, they discovered was for Lord Bakemon. Gomamon questioned why they'd be honouring such an evil Digimon, and the Bakemon shed their disguises, capturing the two kids and their Digimon, locking up Gomamon and Biyomon and planning to eat Joe and Sora. Lord Bakemon appeared, but Gomamon and Biyomon were able to escape and free Joe and Sora, then Digivolved to fight Lord Bakemon. As they fought, Joe used a special mind-over-matter trick to focus his concentration and ignore his fears, by repeatedly chanting "Bakemon lose your power." Lord Bakemon was weakened enough to be defeated by Birdramon and Ikkakumon. Many Bakemon were seen in the service of the evil Myotismon, forming a major part of his army for his assault on the real world and his search for the Eighth Child, the predestined eighth member of the DigiDestined. Bakemon roamed the streets, capturing the majority of central Odaiba's populous, but were prevented from capturing the Izumi family by a digital barrier erected by Izzy. Wizardmon and Gatomon tricked a Bakemon into letting them into Myotismon's crypt. Tai and Agumon jumped and beat up a Bakemon in a search for information as to Myotismons headquarters. Following Myotismon's destruction, the kids' Digimon took care of a bunch of remaining Bakemon. If there were any Bakemon left following this, they would have been converted to energy and absorbed as Myotismon reconstituted himself as VenomMyotismon. When the kids were shown images from the DigiWorld's past by a mysterious ancient entity, a Bakemon was seen piloting a Mekanorimon. Presumably, Bakemon must have worked under the Dark Masters prior to the coming of the DigiDestined. Four years later, Bakemon were seen in the service of the Digimon Emperor on occasion, as they had been captured by Dark Rings. The Emperor had many of them assume the forms of Yolei, Cody, T.K., Kari and their Digimon, in order to torment Davis with the threat of their destruction, but the reappearance of the real kids put an end to his trickery. Later, two groups of them defend his base alongside Kimeramon. When the Emperor was deposed, Some Bakemon were seen helping to rebuild the damaged areas of the DigiWorld. Much later, Bakemon were among the Digimon who attacked Matt's concert, and more were seen in New York when Digimon were appearing in the real world. The Bakemon made their first appearance in "The Dancing Digimon." Lord Bakemon was voiced by Bill Timoney. The Bakemon that served Myotismon were all voiced by Michael Reisz. Name: From the Japanese word, "Obake," a ghost. This word itself comes from the suffix "O" and "bake" comes from "bakeru," meaning "to undergo change." "THE BATTLE FOR BOTH WORLDS"
The name given by Fox Kids to the final story arc of Digimon Adventure 02, from "Invasion of the Daemon Corps" to "A Million Points of Light." WarGreymon and MetalGarurumon battle and destroy VenomMyotismon, following which a rift opens to the DigiWorld, which has been greatly changed in the time the kids have been away. Benjamin is Gennais American counterpart. He had previously met up with Mimi and Michael when Davis arrived in New York to round up all the wild Digimon that had appeared there. His purpose there was somewhat unclear - he did not seem to have to act as a translator, like some of the other duplicates. Benjamin made the statement that "he and Gennai were once one and the same," which is he only bit of insight into how the duplicates came into being (see Gennai's entry for details). Benjamin appears in Digimon World Tour, Pt. 1. His voice is supplied by Michael Lindsay. Name: Is it thought that most of the duplicates are named for someone relevant to the country they represent, hence it is believed that Benjamin is named for Benjamin Franklin. Betamon is the Digimon partner of Michael, one of the DigiDestined children from America. Michael was singled out to become a DigiDestined when hesaw Gorillamon in New York at the same time as Myotismon was invading Tokyo. In April 2001, he received his Digivice, and was transported to the DigiWorld, where he met Betamon. It's not known if Michael had any contact with Betamon or not over the course of the next four years, but when Mimi brought the two of them to Digitamamon's diner to meet the new DigiDestined, Palmon introduced Betamon as a good friend of her's. After Michael told everyone about how he became a DigiDestined, the diner was attacked by Gorillamon, now under the influence of one of the Digimon Emperor's Dark Spirals. Michael stepped in before Palmon could Digivolve, and activated his Digivice, allowing Betamon to Digivolve into Seadramon! Seadramon battled Gorillamon, and Togemon then removed the Spiral. Betamon and Michael both showed up again later when Digimon had begun to appear in the real world around Christmas time. Betamon Digivolved to Seadramon again to battle a Cherrymon at Rockafeller Centre with help from Davis, Mimi, and the other American DigiDestined's Digimon. Betamon was among those Digimon who appeared in the DigiWorld when MaloMyotismon attempted to infect it and Earth with darkness. Betamon first appears in "The Samurai of Sincerity." His voice is supplied by Dina Sherman. Name: Either from the Japanese word, "betanko," meaning squashed, or "betabeta," meaning sticky. When Arukenimon opened all the Digi-Ports, BigMamemon, along with Mamemon, MetalMamemon and Giromon, travelled through one and wound up in Paris. They captured Catherine, a French DigiDestined, and her Floramon, and then had a banquet at the Palace of Versailles. Tai and T.K. arrived with their Digimon, being helped by T.K. 's grandfather. Greymon and Angemon battled them, and then Digivolved into MetalGreymon and MagnaAngemon to finish them off, destroy the Control Spire and send them back to the DigiWorld. BigMamemon appears in "Digimon World Tour, Pt. 2." Name: From "big," and the Japanese word "mame," meaning peas or beans. "BIG TROUBLE IN LITTLE EDO"
The DigiDestined arrive in a village ruled by ShogunGekomon, and are attacked by Dark Ring-possessed Floramon and Mushroomon. The Gekomon and Otamamon lead them to safety, but then their master is captured by a Dark Spiral, courtesy of Ninjamon, and goes on a rampage. The kids destroy the Control Spire, but Shurimon and Ninjamon still have to have their final samurai showdown! Episode Trivia  The title of this episode is based on the martial arts movie, "Big Trouble In Little China." Edo is the name for ancient Tokyo. 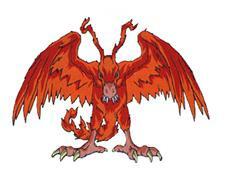 Birdramon is the Digivolved form of Biyomon, the Digimon of Sora of the DigiDestined. Biyomon first Digivolved to Birdramon to protect a village of Yokomon from the flaming Meramon, who had been infected by a Black Gear. Her Meteor Wing attack made short work of the Gear, freeing Meramon. Birdramon appeared again to battle and defeat Lord Bakemon alongside Ikkakumon after Sora and Joe were separated from the other kids by Devimon. She then took part in the final battle with Devimon, though she and Ikkakumon were a little late. She and the other Champions were defeated, and then Angemon saved the day. After the kids arrived on the continent of Server, Birdramon appeared once or twice to do battle with Etemon alongside the other Champions. When the kids freed Datamon from Etemon's pyramid, Birdramon battled Etemon, but was then struck down by the double-crossing Datamon, reverted to Biyomon, and was captured by Datamon along with Sora. Tai and the others then freed them, Sora acquired her Crest, the Crest of Love, and Agumon Digivolved to MetalGreymon to finish off Etemon. However, the opened a portal to the real world, through which Tai and MetalGreymon were sucked. Time passes slower in the real world, so for the few hours Tai was on Earth, months passed in the DigiWorld. The group drifted apart, as was then targeted by DemiDevimon, who was working for Myotismon. He told Sora she'd never be able to make her crest glow as she'd never experienced love, but it was thanks to Biyomon's determination to protect her that Sora realised that she did know what love was, and Birdramon was able to Digivolve to Garudamon. Birdramon continued to appear whenever Sora needed her, aiding her in escaping from the Odaiba convention centre when Myotismon captured the city's populous during his assault on Earth and his search for the Eighth Child, the predestined eighth member of the DigiDestined. She continued to protect Sora, returning with her to the DigiWorld to battle the Dark Masters and Apocalymon by Digivolving to Garudamon. Four years later, Sora was reunited with Biyomon, although Birdramon did not appear very much. She was glimpsed destroying some Control Spires with the other Champion Digimon, and then later, she was shot down by a squadron of the Digimon Emperor's Airdramon, and De-Digivolved back into Biyomon, to be ambushed by Starmon. When Biyomon and the other original Digimon were brought into the real world at Christmas, Biyomon Digivolved into Birdramon to help fight. A power-boost from Azulongmon's Digi-Core restored Birdramon's lost ability to Digivolve into Ultimate (a power lost along with the other seven original Digimon in the four year interim when the DigiDestined had to give up the powers of their Crests to seal the DigiWorld from evil), and she Digivolved to Garudamon when fighting Flymon and Mammothmon in Russia, and then again to bring Sora and some others to the site of conflict between LadyDevimon and Angewomon. After being defeated in battle by SkullSatamon, Birdramon sacrificed her ability to Digivolve into Ultimate along with the other Digimon to power up Imperialdramon. Birdramon did not appear again. Birdramon first appeared in "Biyomon Gets Firepower." Her voice is supplied by Melodee Spevack. Name: From the English word, "bird." After escaping from Kuwagamon, the kids wind up on a beach, where their attempts to use phone booths fall flat. Then, Agumon Digivolves to Greymon for the first time to protect Tai from Shellmon. Biyomon Digivolves from Yokomon, and is the Digimon partner of Sora of the DigiDestined. She, like the other Rookie Digimon, first appeared to protect the kids from Kuwagumon. She's sweet, sensitive and pretty, like Sora, but her Spiral Twister attack makes her a powerful fighter, with strong resolve. She tries to get Sora to relax once in a while. Sora, having a bad relationship with her mother, was afraid to get close to anyone, and tried to push Biyomon away at first, even though they were together for a long time. Biyomon first Digivolved to Birdramon to protect Sora and save a Yokomon village from Meramon, who had become infected by a Black Gear. After Tai went missing following the climactic battle with Etemon, Sora and Biyomon wandered the DigiWorld on their own, and ran into DemiDevimon, who, under the orders of Myotismon was trying to prevent the kids' Crests from glowing. He told Sora she would never make hers glow because she had never experienced love. Sora and Biyomon then began sneaking around, following the other DigiDestined, trying to do good things for them and keep them safe, to prove how much she loved them and make her Crest glow - but none of it worked. When the kids got together again, they were attacked by Myotismon, and even though it was impossible for her to beat him, Biyomon insisted on fighting him. Sora tried to hold her back - and in that moment, realised that her desire to protect Biyomon stemmed from her love for her. Her Crest glowed, and Biyomon Digivolved to her Ultimate stage of Garudamon, holding off Myotismon long enough for the kids to escape. Biyomon accompanied Sora and the others back to the real world during Myotismon's assault on Odaiba in his search for the Eighth Child, the predestined eighth member of the DigiDestined. She and Sora's mother were able to create a diversion that allowed Sora to escape from the convention centre, where Myotismon had imprisoned the majority of the city's populous. She Digivolved to partake in the final battle with Myotismon, and then again with VenomMyotismon. She went back to the DigiWorld with Sora and the others and was involved in the battle with the Dark Masters and Apocalymon. In May 2000, Biyomon and the other seven Digimon lost their ability to Digivolve to Ultimate when the DigiDestined gave up the powers associated with their Crests to seal the DigiWorld off from evil. Four years later, when the Digimon Emperor was conquering the DigiWorld, Biyomon was reunited with Sora when she and Izzy came to the DigiWorld with the new DigiDestined kids. Davis and Veemon were captured by the Emperor, but Biyomon and Tentomon were able to lead everyone to a temple, where Yolei and Cody found their Digi-Eggs and Digimon, and used them to save Davis. After being shot down as Birdramon by a squadron of the Emperor's Airdramon, Biyomon was stranded in the desert, and then ambushed by Starmon and thrown in jail. Sora's Digivice alerted her to Biyomon's plight, and she and the new DigiDestined went to her rescue, with a little help from Deputymon. At Christmas, Biyomon and the other original Digimon were brought into the real world to celebrate with their human partners. Biyomon accompanied Sora to Matt's concert, and encouraged her to give Matt the cookies she had baked for him - though it took a few kind words from Tai to make her do the deed. Biyomon Digivolved to fight the Digimon who appeared along with a Control Spire, and then received a power boost from Azulongmon's Digi-Core, restoring her ability to Digivolve to Ultimate. She, Hawkmon, Sora and Yolei headed for Russia to team up with three Russian DigiDestined and she once again Digivolved into Garudamon to send a bunch of Flymon and Mammothmon back to the DigiWorld and destroy the Control Spire in Moscow. She returned to Tokyo with Sora and the others, and became Garudamon again to send LadyDevimon fleeing from a scuffle with Angewomon. When she and the other Digimon were defeated in battle with SkullSatamon, they all sacrificed their power to go Ultimate once again, to power up Imperialdramon and allow him to Mode Change to Fighter Mode and destroy SkullSatamon. When MaloMyotismon was infecting the world with darkness, Biyomon and all the other Digimon of the world's DigiDestined appeared to witness his destruction. Three months later, after the defeat of Armageddemon, Biyomon briefly travelled to the real world to get together with all the Japanese DigiDestined and their Digimon. Twenty-five years into the future, the portal to the DigiWorld remains open, and Biyomon is still at Sora's side - they are both fashion designers. Biyomon claims their line is "to die for." 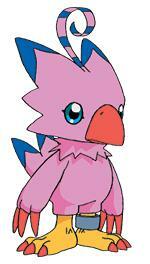 Biyomon first appeared in "And so it begins..." Her voice is supplied by Tifanie Christun. Name: Biyomon is a corruption of her original Japanese name, "Piyomon," which is derived from the Japanese word, "piyo," meaning the noise a bird makes. The kids come across a village of Yokomon being menaced by the Black Gear-infected Meramon, and Biyomon Digivolves to Birdramon for the first time to free him from it's influence and save the village. The DigiDestined kids first encountered the enigmatic Black Gears when they came across a village of Yokomon, which was being menaced by the flaming Meramon, who is usually a good Digimon. 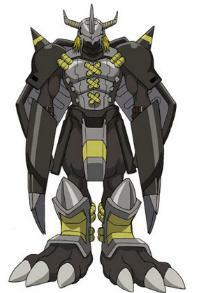 Biyomon then Digivolved to Birdramon and defeated Meramon, when suddenly, a Black Gear shot out of his body. The gear then exploded and dissolved. The kids proceeded to encounter more and more Digimon possessed by these mysterious Gears, including Andromon, Monzaemon, and Unimon. Then, upon coming across an isolated mansion, the kids encountered the master of the Black Gears - Devimon! Devimon split up the kids, sending them to the broken up chunks of File Island. Tai and Agumon freed Frigimon from another gear, then met up with Matt and Gabumon and freed Mojyamon from another gear. They uncovered a collection of Black Gears inside a mountain, and proceeded to destroy them. Meanwhile, Izzy and Mimi helped free Centarumon from another gear, then took care of the gears on that portion of the island. At the same time, Joe and Sora, after defeating a group of Bakemon, dealt with another clutch of the gears on another portion of the island. T.K. was then set upon by the gear-infected Leomon in Primary Village, but was defended when Tai and Matt showed up. More Black Gears soared through the air and went into Leomon's body, boosting his power. Izzy and Mimi showed up in time to tell the other kids to use their Digivices on Leomon to free him from the gears' influence. Leomon went on to tell the kids about the legend of the DigiDestined, and they then attacked Devimon's temple. Devimon absorbed a large number of Black Gears into himself, and grew to a giant height, besting all the kids' Champion Digimon, including Joe and Sora's, who arrived late. Patamon then Digivolved to Angemon used all his energy to destroy Devimon. The last time the Black Gears appeared was while the kids were on their way to Server. While on their raft, they were attacked by Whamon, who swallowed them whole. They found and destroyed a Black Gear inside him, and he spat them out, then took them to an underwater cave where they might find their Tags. However, while there, they were attacked by Drimogemon, who had also been possessed by a Black Gear. Ikkakumon destroyed the gear, which we presume was the last one, as they were never seen again. The Black Gears premiered in "Biyomon Gets Firepower." Intent on destroying the DigiDestined, Arukenimon used her Spirit Needle technique and combined together one hundred Control Spires to create BlackWarGreymon. BlackWarGreymon was intended to be an unliving Digimon, like all the others Arukenimon had created from Control Spires, but in this case, the leftover programs within the Spires fused together, giving BlackWarGreymon a mind and feelings of his own. He fought the DigiDestined, but then refused to follow Arukenimon's orders any more, and simply walked away. BlackWarGreymon pondered his existence - he had been created only to destroy, and felt that that was the only purpose he had, so he sought out stronger and stronger opponents. Arukenimon sent a horde of unliving Mammothmon against him, but he defeated them all with ease - though the destruction was so easy, it left him feeling empty, and he doubted that he had any purpose at all. He began to doubt his own life, and when in conversation with Agumon, who was trying to talk sense into him, he claimed he did not have a heart because he was not real. However, the conversation was interrupted when BlackWarGreymon's body was wracked with pain - elsewhere, Knightmon had broken one of the seals of the first Destiny Stone at Arukenimon and Mummymon's command, and it had somehow hurt BlackWarGreymon. BlackWarGreymon left to search out the source of the pain, and proceeded to destroy both Knightmon and the Destiny Stone. BlackWarGreymon transported himself into the real world, having obtained that power through the destruction of the first Destiny Stone. He arrived in the city of Kyoto, with several Digimon in tow - Yolei and Ken defeated Apemon and Musyamon, before BlackWarGreymon and the other Digimon disappeared back to the DigiWorld. BlackWarGreymon made it his mission to destroy all the Destiny Stones, while the DigiDestined attempted to stop him. Angemon used the second Destiny Stone to power himself up and allow himself to Digivolve to MagnaAngemon, who almost defeated BlackWarGreymon, until the misguided Digimon destroyed the Destiny Stone, causing MagnaAngemon to De-Digivolve. The DigiDestined attempted to hide the next Destiny Stone, but BlackWarGreymon easily found it and destroyed it. The DigiDestined tried again to hide the next stone underwater, but despite help from the Dolphmon and MegaSeadramon, they could not stop BlackWarGreymon - he parted the waters, and destroyed the stone. The fifth and final stone was located in a natural spring - which, oddly enough, it's power had turned into soup that Digitamamon was using in his restaurant. Arukenimon, Mummymon and the DigiDestined arrived at the restaurant, and soon, BlackWarGreymon was there too. BlackWarGreymon battled Paildramon and Silphymon, and then Angemon and Ankylomon DNA Digivolved into Shakkoumon for the first time to hold of BlackWarGreymon while the kids tried using their Digivices to move the stone. However, they had a much more interesting effect - the released the omnipotent Azulongmon from the prison he had been sealed in by the Dark Masters years before. Azulongmon stopped the fight, and explained to BlackWarGreymon that all things had a purpose in life. BlackWarGreymon left to find his. Some time later, BlackWarGreymon again transported himself to the real world, searching for Oikawa, the mysterious man who was the creator of Arukenimon and Mummymon. BlackWarGreymon tracked the trio down, and told Oikawa that he disrupted the balance of both Earth and the DigiWorld. However, before he could destroy him, Agumon Warp-Digivolved to WarGreymon, and engaged him in battle. The raging battle spread into the nearby city, and was soon joined by Imperialdramon - and together, he and WarGreymon defeated BlackWarGreymon. Agumon, Veemon and Wormmon surrounded the beaten Digimon, and did their best to explain to him about life and importance - and thankfully, BlackWarGreymon took it in. When Cody's grandfather confronted Oikawa, knowing that he was actually the childhood friend of Cody's father, Oikawa, who had received an influx of dark power from the flowered Dark Spore of Noriko, fired a blast of dark energy, which struck BlackWarGreymon, sending him to his knees. Oikawa fled, and BlackWarGreymon realised that the blast had done fatal damage - he would not live much longer. With the last of his strength, BlackWarGreymon sacrificed what little remained on his life by using his body to seal the gateway to the DigiWorld at Highton View Terrace - that being the purpose he had searched for all along. BlackWarGreymon first appears in "The Ultimate Anti-Hero." His voice is supplied by Steven Jay Blum. Name: "Black" - "War" is short for "warrior" - "Grey" is likely a misspelling of "Grea," being short for "great." Oikawa discovers that Cody is the son of his old friend, Hiroki Hida, and then absorbs the power of Noriko's Dark Spore when it flowers. The dark power allows him to fatally injure BlackWarGreymon and escape, and then BlackWarGreymon sacrifices what remains of his life, using his body to seal the rift to the DigiWorld at Highton View Terrace. Episode Trivia - Upon this episode's first screening in the US, it was combined with "Oikawa's Shame" to make an hour long special which acted as the third part of "The Battle For Both Worlds." 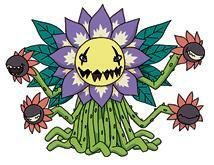 The first Blossomon the kids encountered was one of Puppetmons playmates, along with Mushroomon. When TK was fleeing from the Dark Master, he asked that Blossomon and Mushroomon refrain from telling Puppetmon where he was. They complied. After that, they were not seen again. (The actual reason that she and Mushroomon were not seen again was that in the original Japanese cartoon, Puppetmon thought they were lying to him about TK's whereabouts, and shot them both dead). Four years later, Arukenimon created an unliving (and much larger) Blossomon from Control Spires, and sent it to attack Kari, Ken and Yolei. It was destroyed when Gatomon and Aquilamon DNA Digivolved into Silphymon for the first time and used their Static Force attack to obliterate the flowery fiend. A Blossomon first appears in "Playing Games. Its voice is supplied by Melodee Spevack. Name: From the English word, "blossom." Four years before the original seven children's transportation into the DigiWorld, a Digi-Egg emerged from the Kamiya's computer, and hatched into a Botamon the next morning. Kari managed to communicate musically with the Botamon using her whistle, and it accepted them as friends. After eating a bunch of candy bars, it Digivolved into a Koromon, which went on to become an Agumon, then a Greymon, to fight Parrotmon. Several Botamon were seen in Primary Village by T.K. and Patamon, where one actually Digivolved into a Koromon. Some more Botamon appeared again in a village of Koromon on the continent of Server, and then again, when the DigiWorld was being reformatted to normalcy, following Apocalymon's defeat. Four years later, a Botamon was seen by Ken when he visited Primary Village - but this particular Botamon, along with some other Baby Digimon, didn't take kindly to Ken, knowing that he had been the Digimon Emperor. A Botamon was also seen with an Elecmon in a forest that BlackWarGreymon was passing through. Much later, when the children Oikawa had seeded with the Dark Spores entered the DigiWorld to unite with the DigiDestined against MaloMyotismon, they became DigiDestined themselves, and partner Digimon appeared for them, one of which was a Botamon. Chronologically speaking, a Botamon first appears in "Digimon: The Movie." They first appears in the series in "DigiBaby Boom." However, The Botamon from the movie has it's voice supplied by Peggy O'Neal, while the Botamon from which Tai's Koromon partner Digivolved from was supplied by Brianne Siddall, in "The Ultimate Clash." Name: From the Japanese word, "bota," meaning rocks dug up in coal mining. Bukamon is the In-Training stage of Gomamon, the Digimon of Joe of the DigiDestined. Like Joe, Bukamon can be relied on to come through, though he tries not to take life quiet so seriously as his human partner. Joe first met Bukamon immediately upon arriving in the DigiWorld. Bukamon then Digivolved to Gomamon along with the other kids' Digimon to protect them from Kuwagumon. Bukamon didn't reappear until after Gomamon reached his Ultimate stage of Zudomon in battle with MegaSeadramon after the kids returned to Earth during Myotismon's assault on Odaiba in his search for the Eighth Child, the predestined member of the eighth DigiDestined. Zudomon then partook in the final showdown with Myotismon, and reverted back to Bukamon again. Bukamon Digivolved back up to Zudomon again for the battle with VenomMyotismon, who wasn't defeated until WarGreymon and MetalGarurumon came into battle, and then regressed to Bukamon again, and returned to the DigiWorld with Joe and the others. He Digivolved to Zudomon again for the first battle with the Dark Masters and regressed to Bukamon again. After that, however, Gomamon appeared to gain more control over his Digivolutions, and would only revert back to Rookie stage after becoming Zudomon. As such, Bukamon did not appear again. Four years later, an unnamed Australian DigiDestined was shown to have a Bukamon for partner, and twenty-five years after that, Joe's son has a Bukamon of his own. 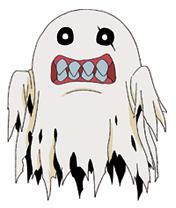 Bukamon first appeared in "And so it begins..." His voice is supplied by R. Martin Klein. 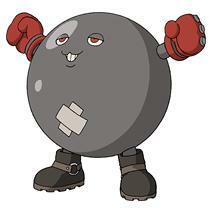 Name: Bukamon is a corruption of his original Japanese name, "Pukamon," which is derived from the Japanese word, "pukapuka," meaning the sound of floating.